Rae Missigman is the artist that keeps pushing the boundaries of creativity and she has the heart of a teacher. This is such an incredible combination and what always has students going away wanting more. Lucky us that Rae is back with more! She is bringing our creative network a brand new course that focuses on words and your creative process. It is guaranteed to be colorful fun! 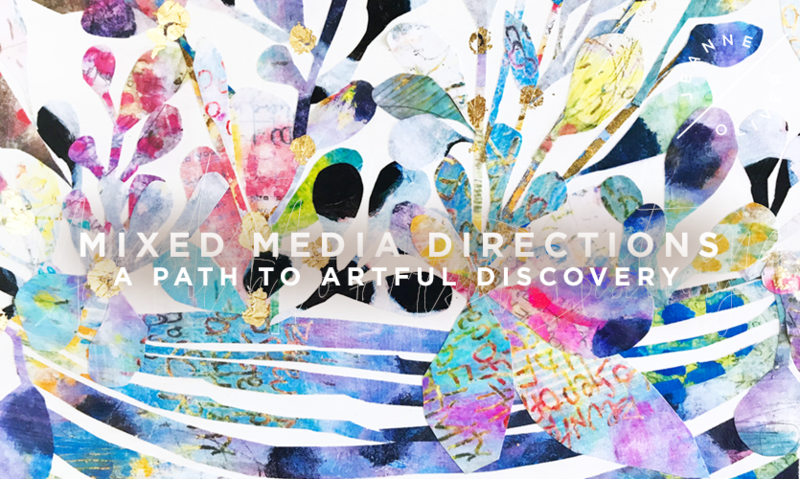 Rae’s course, Mixed Media Directions | A Path to Artful Discovery begins Monday, November 12th, 2018 with Instant Access! The course is 4+ Hours of Content. The creative path can be a difficult one to navigate. Have you ever experienced times when you find yourself questioning your imaginative style? 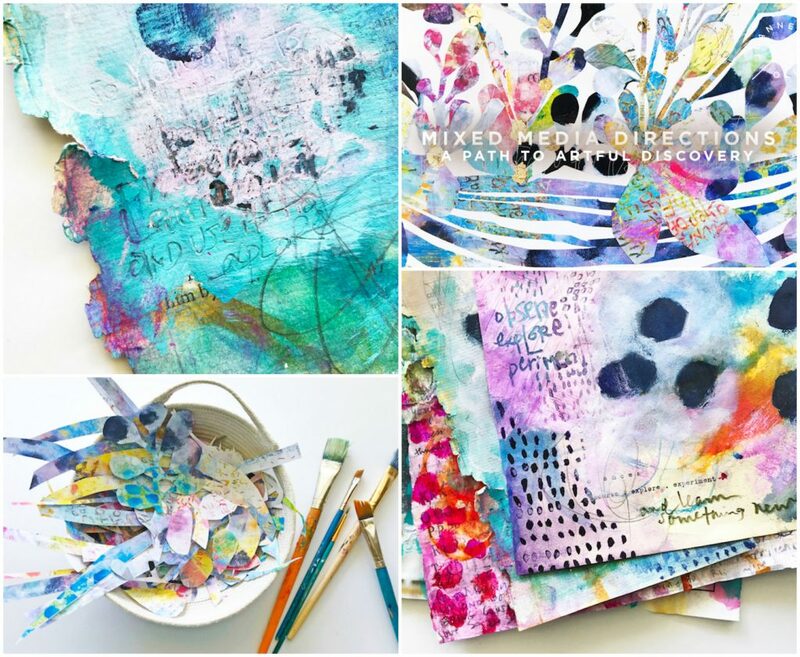 Join Rae Missigman for Mixed Media Directions. Digging into what this questioning means to you and your process may be all it takes to rediscover the artist in you once again. Writing down the words that define your experiences can have the power to illuminate new creative choices. Together we will discover the joy of spontaneous writing and the potential it has to create a space for new ideas and inspiration. Combine paint, ink, pastels, and watercolor pencils to create luscious layers of depth and texture while transforming our musings into a foundation saturated with beauty. Watch as your unique style reemerges through layer upon layer of rich puddled color as you etch, scrub and unearth the artistry buried beneath. 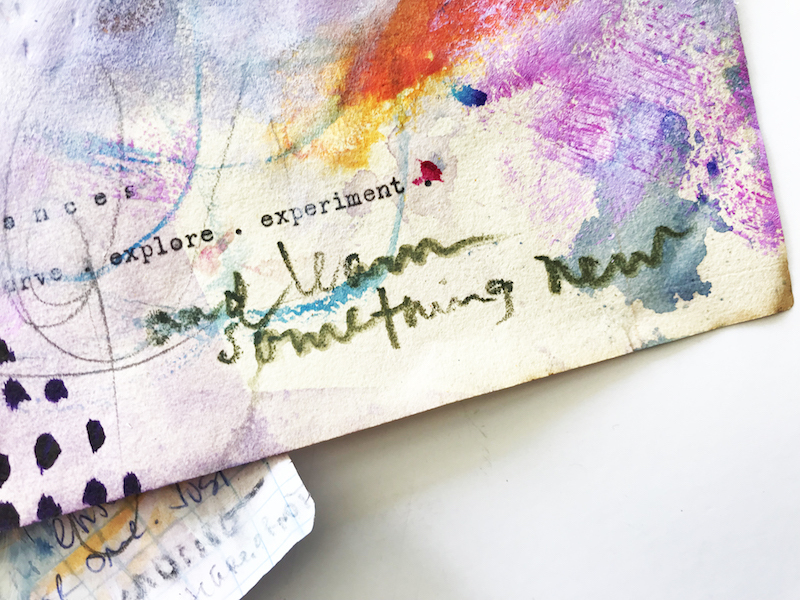 Join me as we create two projects, deconstructing our newly constructed art papers and reshaping them into charming art pieces that celebrate movement along your creative path.